Robert “Bob” W. Heartz passed away early Sunday morning, June 3rd, at the age of 71. A lifelong resident of Concord, Bob was the son of the late Gladys Mae (Andrews) and George Robert Heartz. 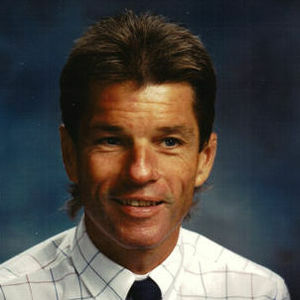 He is best remembered as a talented and dedicated teacher (Winnisquam Regional H.S. 1969-1983, Merrimack Valley H.S. 1983-1986, Rundlett Junior H.S. 1986-2001), a successful coach (Lacrosse, Cross-Country, Hockey, and Soccer), and as an avid runner with deep roots in the Concord community. Bob was also a passionate outdoorsman, and he passed on his love of hiking, paddling and the natural world through his work as a summer camp counselor at the Shaker Road School. In the classroom and on the playing field, in the mountains and on the lakes and rivers of New Hampshire, Bob helped shape the lives of countless young people with gentleness and his characteristic dry sense of humor. Bob’s legacy of compassion and service is carried forward by his beloved wife of 48 years, Mary; two grateful sons, Andrew and Cody; and the 5 grandchildren who he adored. His brother, Bruce Hamilton Heartz, of Concord, died in 1999. Both men are survived by their sisters, Ruth Ann Herbert (Concord) and Susan Moran (Dublin), as well as Bruce’s daughter Jessica Loughman (Hampton). A celebration of Bob’s life will be held at the Shaker Road School on Sunday the 10th of June from 1-3pm. All family, friends and former students are welcome. In lieu of flowers, please consider a donation to: The Robert S. Hicks Scholarship Fund, 131 Shaker Road, Concord NH 03301. The Cremation Society of New Hampshire is assisting the family with arrangements. To view an online memorial or leave a message of condolence please go to www.csnh.com.